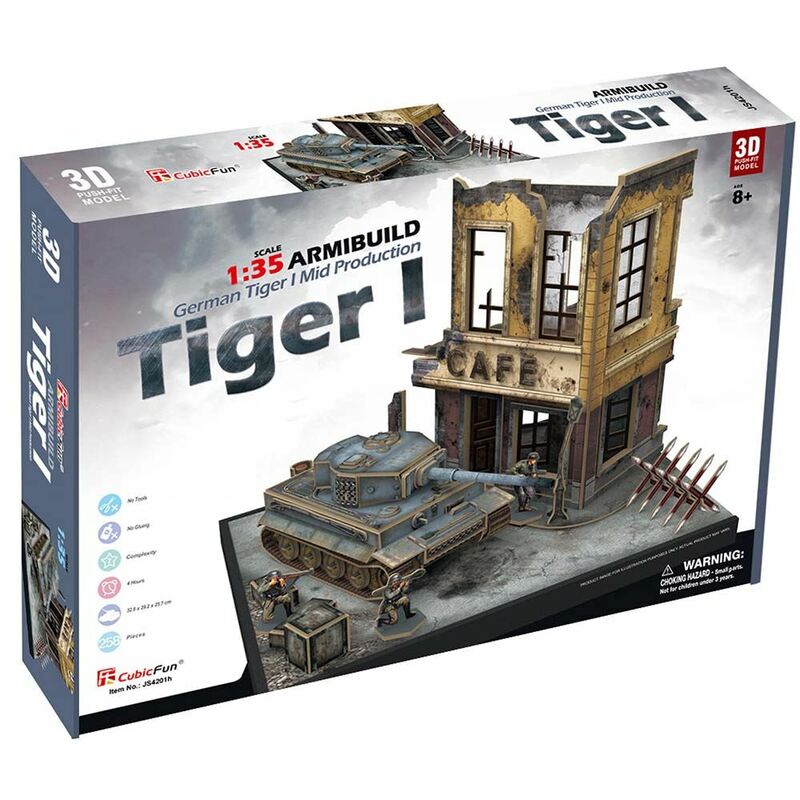 Replicate a scene from military history with this unique interlocking model., complete with ruin, tank and figures. This 3D Puzzle is made of paper and expandable polystyrene foam board, it is easy to assemble without the use of any other tools or glue. No of Pieces: 258. Model size: 32.6cm x 29.2cm x 25.7cm. Age 8+ years.